I told my wife I was having a tough time. Instead of weighing my options, she just encouraged me to do the right thing. “Nothing’s worth your integrity,” she uttered. So I informed my manager. She commended my honesty. That felt good. Then a lady from accounting contacted me saying the same while adding, “we would have never of known!” That didn’t feel good. Nor did seeing the large chunk of money removed from my available balance. Until recently, I had never considered, “What if a billionaire overpays me $10,000 and didn’t know the difference?” To my astonishment, I was immediately tested again after the first good deed. Upon finishing the work, the client authorized me to bill them a third time, forgetting they had already paid me once and failed to overpay me twice. What are the chances? Well, now I know. Thanks to my inspired friends, family, and conscience, I know very well. There’s no such thing as an honest person, only practicing straight-shooters. What I still don’t know is when, how, and where the next integrity challenge might strike. 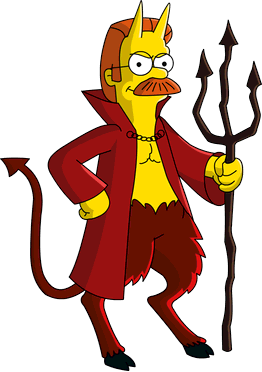 Do your worst, red devil! Hahahaha good for passing the test!